This juried exhibition features quilts of all styles and sizes created by some of the State’s finest quilters. Presented by the Springville Museum of Art and the Utah Valley Quilt Guild with support from the Corn Wagon Quilt Company. Quilts may be brought to the Museum for jurying. 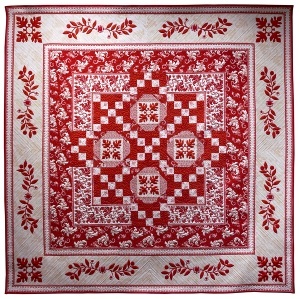 List of accepted quilts posted on www.smofa.org. 1. Quilts must be made using good construction techniques. 2. Quilts must be clean. 3. Quilts must be no longer than 120”. 4. Quilts must have two layers of fabric with a batting sandwiched in between, with either machine or hand quilting. 5. Two quilts may be submitted which have not been previously entered into this show and are not more than three years old. 6. No kits, neither full nor partial. 7. A label must be sewn on the back bottom of the quilt with name of quilt, name of entrant, and/or who quilted it, and date completed. 8. 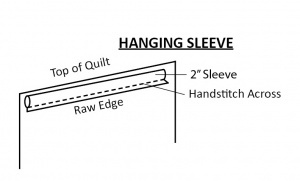 A hanging sleeve (see diagram) must be attached to the back of the quilt. We do not want to damage your quilt with tacks. (This sleeve is unique to this show). Step 1—Cut a 5” strip of fabric whose length is the width of quilt top, fold it in half, press, draw a pencil line 2” below the fold. Quilts must be brought to the Springville Museum of Art on Friday, July 20, 2018 between 10am and 4pm or Saturday, July 21, 2018, between 10am and 4pm. There is a $16.00 non-refundable entry fee per quilt. Quilts must be submitted in disposable plastic bags. Pillowcases/individual carrying cases are discouraged. All paperwork must be filled out online 24 hours before quilts are brought to the Museum. Online entry forms may be accessed at www.smofa.org starting on June 25, 2018. A brief history/statement may be submitted with each quilt. Please limit this history to 100 words or less. This history should be included with the online entry form. If you are having trouble with the online entry process, please call the Museum at 801-491-5702. A list of accepted quilts will be posted on www.smofa.org on Thursday July 26, 2018. Quilters will not receive notification phone calls; they may call the Museum at 801-489-2727 on July 26 if they are unable to access the website. Quality in workmanship, design, color, originality, and general appeal will be the principal criteria applied by the selection committee for admission to the show. The same criteria will also be used by the judges. There will be awards for “Best of Show”, “Best Hand Quilting,” as well as many other awards. 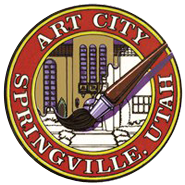 The Annual Springville Museum of Art Quilt Show is a juried competition. Quilts are screened by a panel of experts before they are displayed in the show. After the panel qualifies the quilts, they will be displayed and the quilts will be judged for ribbons/awards by qualified judges. Each quilt participating in the exhibition will receive critique feedback from the judges. Here are this year's judges! Cody Marie Mazuran holds a degree in secondary education from Brigham Young University and has taught in public schools for many years. Additionally, Cody has developed a business to publish her books and quilt patterns. 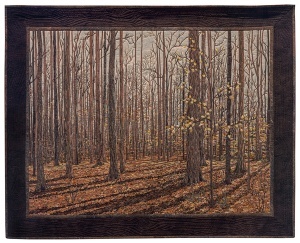 Her book, A Fine Finish, is a national best seller and many of her quilts have been awarded blue ribbons. Cody does volunteer work raising funds for medical research and education. While she is passionate about quilt making, she also loves teaching piano lessons to several of her 17 delightful grandchildren. Sharon Aposhian Wright has had a love of fabric and sewing machines since Father Christmas brought her first chain-stitch Singer when she was eight years old. Dress-making and tailoring were edged out by the wide world of quilting twenty-six years ago when she attended her first quilt guild meeting in Vernal, Utah. 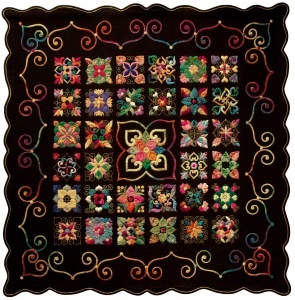 Sharon has a great fondness for the quilters of Utah, having learned from many of Utah’s best. She has served as president of both the Utah Quilt Guild and the Utah Valley Quilt Guild, has won many quilting awards, and has been actively involved with the SMA Quilt Show for years. While Sharon has a particular fondness for hand-quilting, she has grown with the times and loves the dimension machine-quilting adds to the quilts. Florence A. Evans has been sewing since childhood and quilting for more than 35 years. Born and raised in New York City, she earned her Bachelor’s Degree at Utah State University and served 12 years as an Intelligence Officer in the US Army. In 2008, Florence completed her Master’s Degree in Statistics at the University of Utah. 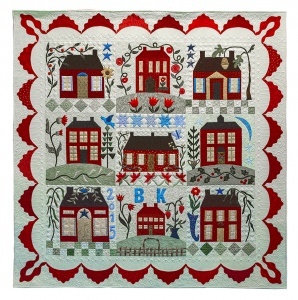 In addition to working as a statistician, she teaches quilting classes throughout the state. Florence’s quilting awards include a Best of Show, Best Machine Quilting, two Judge’s Choice, several Awards of Excellence and numerous First Place ribbons. Florence has two adult daughters and lives in Midvale with her husband and two cats.